ill-fated Apollo 13 Mission in April 1971. 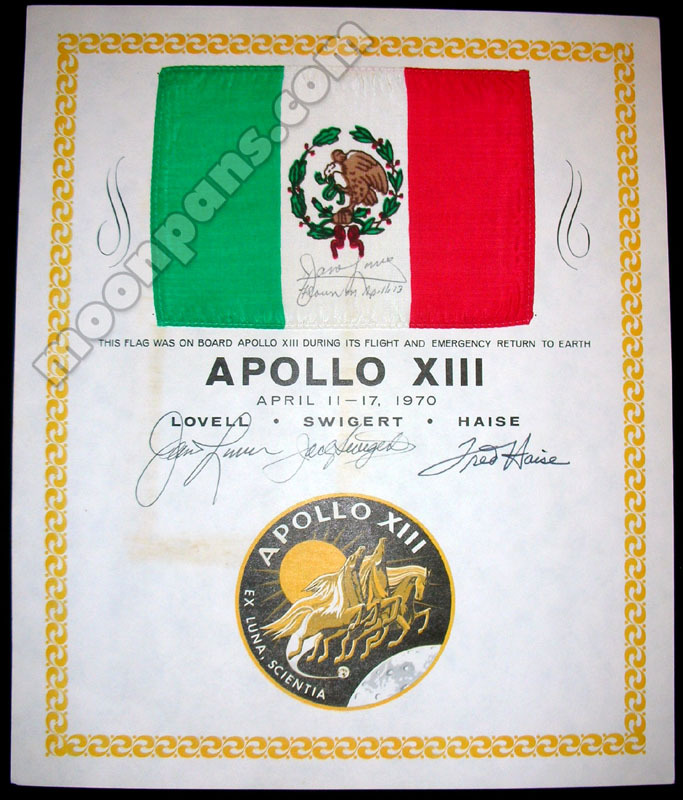 This flag is from the personal collection of Apollo 13 Commander, Jim Lovell, and he has signed and inscribed the flag, "Jim Lovell - Flown On Apollo 13". 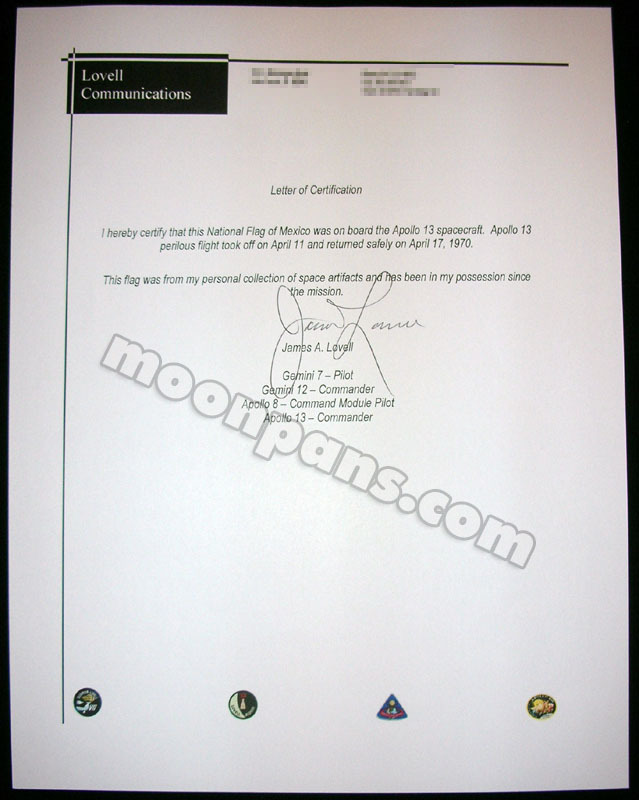 Plus Jim lovell has provided a hand signed COA, "I hereby certify that this National Flag of Mexico was on board the Apollo 13 spacecraft.......This flag was from my personal collection of space artifacts and has been in my possession since the mission. 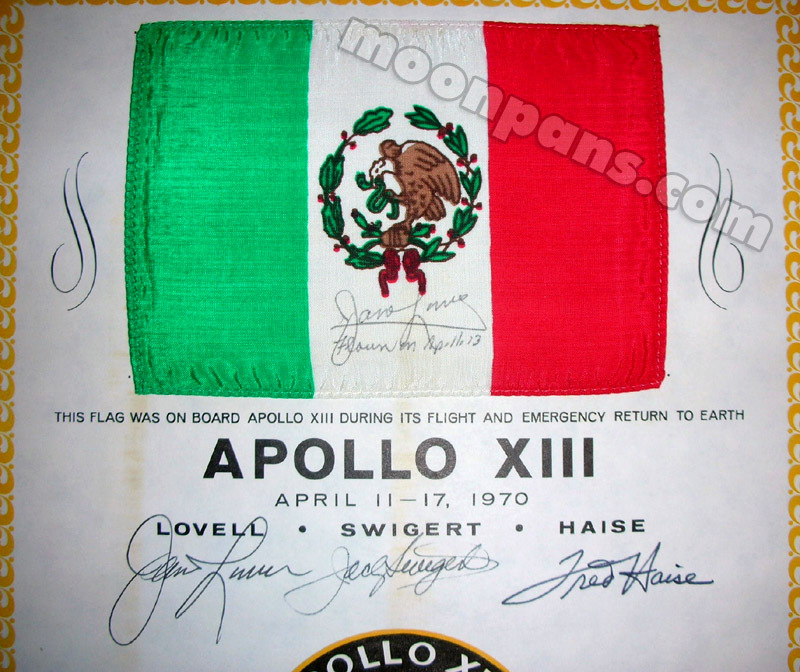 James A. Lovell". 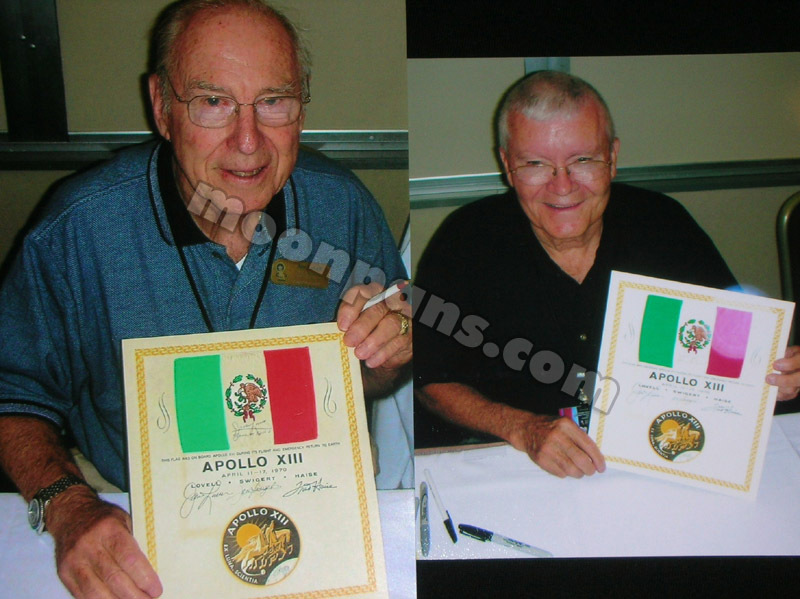 Also included are photos of Jim Lovell and Fred haise holding the presentation.